Russian Energy Minister Alexander Novak and Gazprom Chief Executive Officer Alexei Miller attend a news conference of Russian President Vladimir Putin and Turkish President Tayyip Erdogan following their meeting in St. Petersburg, Russia. Russia is considering relaunching one of two gas pipeline projects across the Black Sea – via Turkey or Bulgaria. Each has its own political risks, say Russian analysts. After the meeting of Russian President Vladimir Putin with Turkish leader Recep Tayyip Erdogan on Aug. 9 in St. Petersburg, Russian representatives have announced the possible revival of two major gas projects, South Stream and Turkish Stream. Russia and Turkey are once again holding talks about the beginning of construction of the TurkStream pipeline, Energy Minister Alexander Novak said (in Russian). However, the Russian president himself did not rule out that the country would return to the discussion of South Stream – a much-vaunted gas pipeline from Russia to Bulgaria and further to the countries of south-eastern Europe that was later shelved. "Now, intentions alone are not enough, legal guarantees should be ironclad," said (in Russian) Putin on Aug. 9. Both pipeline projects involve the delivery of up to 63 billion cubic meters of gas per year under the Black Sea. Initially, Russia planned to implement the South Stream project, but in December 2014 it was frozen at the initiative of Bulgaria under pressure from the European Commission. As the Bulgarian authorities explained, the project did not meet the standards of the Third Energy Package: According to this document, the same party may not own infrastructure and be a fuel supplier. Russian gas giant Gazprom insisted that these rules did not apply to South Stream, since the agreement on the project was signed earlier, but eventually backed off. In this situation, in late 2014, Putin announced a new project, now known as Turkish Stream: In fact, this was the same planned pipeline under the Black Sea, merely rerouted toward Turkey, where it was planned to build a distribution hub from where gas could also be piped onward to the Balkans. However, the project was shelved after the Turkish air force shot down a Russian plane along the Syrian border in November 2015. According to experts, both projects carry significant political risks, but in view of the European Union's steadfast position on the Third Energy Package, Turkish Stream is more preferable for Russia. 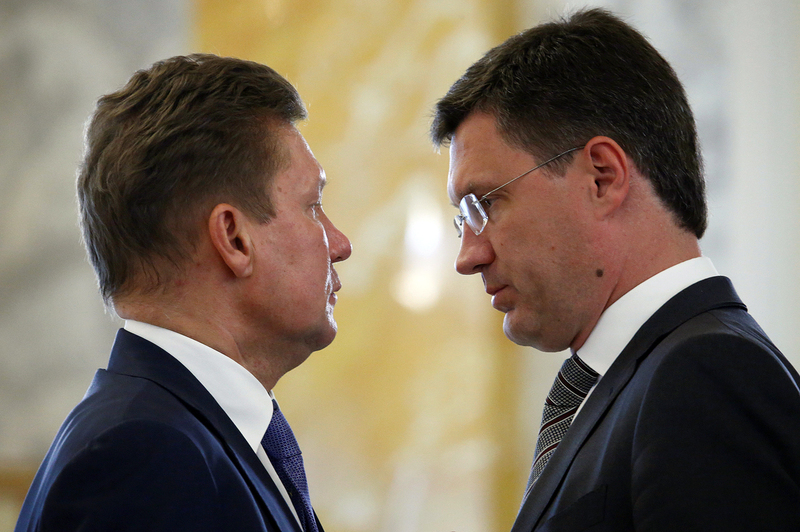 However, in this situation, Gazprom becomes dependent on the Turkish side. "Turkey as a transit country bears notable risks," Sergei Khestanov, the macroeconomics advisor to the CEO of the Russian brokerage firm Otkrytiye Broker, told RBTH. According to him, in the case of laying pipes through Turkey, this country will have the same opportunities for political pressure on Russia that Ukraine currently has. Turkish natural gas monopoly Botas has even appealed to international arbitration to demand a discount from Gazprom. However, unlike Bulgaria, which is obliged to listen to the requirements of the European Commission, Turkey makes all the decisions on its own. Another risk for both projects is Russia’s announcement in 2016 of the expansion of Nord Stream, a gas pipeline under the Baltic Sea linking northwest Russia to Germany. In this situation, the main risk to Turkish Stream and South Stream, according to experts, is not political decisions, but low gas prices. Prices of "blue fuel" are tied to oil prices, and they are stable at a low level. "Today, the economy is not working for the benefit of both pipelines, as the cost of gas at the border with Germany was at historic lows just a month ago and is unlikely to reach the highs when the 'streams' in the Black Sea were relevant," Ivan Kapitonov, an associate professor at the Russian Presidential Academy of National Economy and Public Administration’s Higher School of Corporative Management, told RBTH. He pointed out that both South Stream and Turkish Stream are very expensive, with respective price tags of $26 and $13 billion. Turkish Stream costs around $2 billion more than Nord Stream 2, which has been actively developing all these years. Already today, according to Khestanov, the existing pipeline capacity is largely redundant: "If the Ukrainian transit works properly, there will not be any need for the construction of new gas pipelines," he said. According to Kapitonov, from the economic standpoint, there is one right direction so far – the construction of Nord Stream 2, which will allow Russia to do away with Ukrainian transit. At the same time, he said, negotiations on South Stream and Turkish Stream will only strengthen Russia's position in its negotiations with countries in Northern Europe.